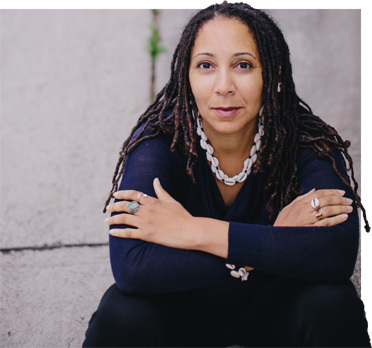 Monica A. Coleman is Professor of Africana Studies at the University of Delaware. She spent over ten years in graduate theological education at Claremont School of Theology, the Center for Process Studies and Lutheran School of Theology at Chicago. Coleman has earned degrees from Harvard University, Vanderbilt University and Claremont Graduate University. She has received funding from leading foundations in the United States, including the Ford Foundation, the Andrew W. Mellon Foundation, and the Woodrow Wilson Fellowship Foundation, among others. Answering her call to ministry at 19 years of age, Coleman is an ordained elder in the African Methodist Episcopal Church. She brings her experiences in evangelical Christianity, black church traditions, global ecumenical work, and indigenous spirituality to her discussions of theology and religion. Coleman is the author or editor of six books, and several articles and book chapters that focus on the role of faith in addressing critical social and philosophical issues. Her memoir Bipolar Faith shares her life-long dance with trauma and depression, and how she discovers a new and liberating vision of God. Her book Making a Way Out of No Way is required reading at leading theological schools around the country, and listed on the popular #BlackWomenSyllabus and #LemonadeSyllabus recommended reading projects. Coleman’s strength comes from the depth of her knowledge base and from her experiences as a community organizer, survivor of sexual violence and as an individual who lives with a mental health challenges. Coleman often teaches Bible study in her local church, and speaks widely on religion and sexuality, religious pluralism, churches & social media, mental health, and sexual and domestic violence. Coleman is based in Los Angeles, and lives in an intergenerational household where she is an avid vegan cook and cyclist.